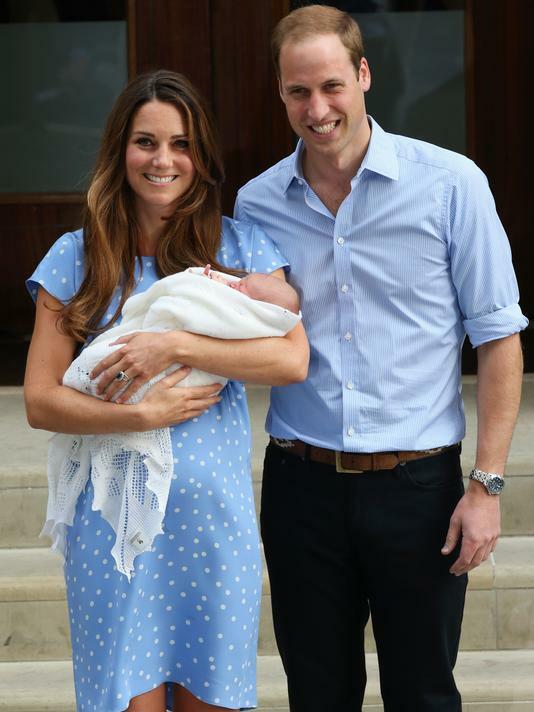 Can we all just take a minute (or 10) and ogle over this picture of Will, Kate, and baby? I mean come onnnnn… does it get any cuter than this?? While searching for this pic, I stumbled across TONS of pictures of the adorable couple and the next thing you know… 30 minutes had passed! I guess you can say I’m slightly obsessed. They are SUCH beautiful people so it’s hard not to be totally mesmerized. And Kate’s clothes?? I die. I think I’m more obsessed with the duchess’ outfits than anything else! And in case you missed the footage… what I wouldn’t give to be there! Okay, back to business. Let’s talk wedding! Some big things happened over the weekend (found my wedding dress! and the bridesmaids’ dresses!) so I’m in major wedding mode. 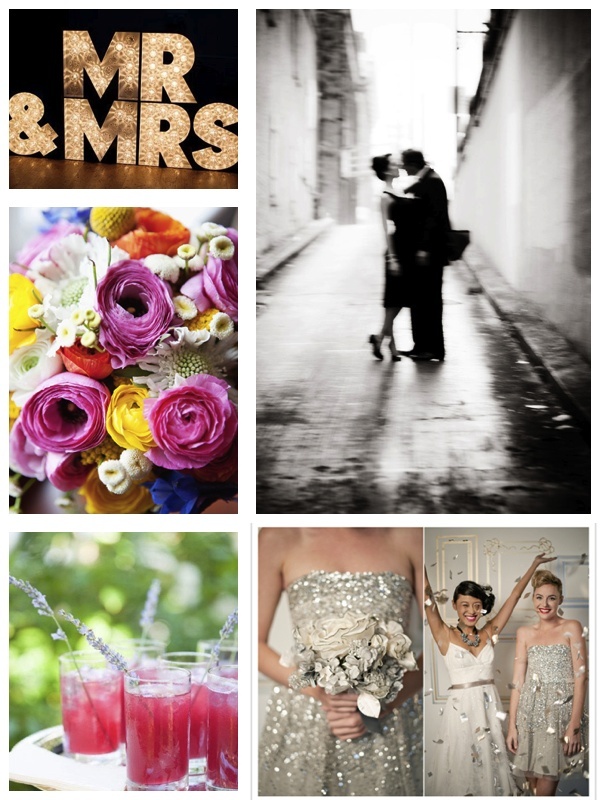 I’m scouting Pinterest like crazy and I’m always on the lookout for cute, new ideas! Here’s a round-up of what I’ve found this week! 1. Mr. and Mrs. sign 2. Floral bouquet 3. Signature cocktail 4. Moonlit couple 5. Sparkle everywhere. Have a fantastic week, friends! We’re halfway to the weekend! for close to a half hour. Why are we so obsessed? Crazy stuff…but they are so adorable…That tiny baby has no idea the greatness he has been born into. WOW! !